MARSHALL, Mich. — Having recently completed a coast-to-coast tour in the US and Canada showcasing its prototype 2017 ISX15, Cummins joined Eaton this week in Michigan to allow the first editor test drives and to announce the launch of a new SmartAdvantage powertrain. 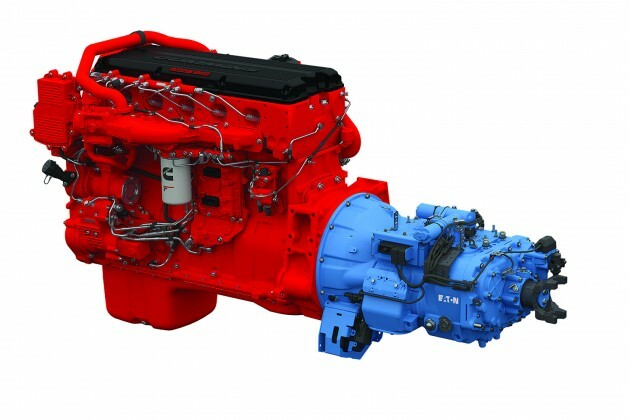 Michael Taylor, general manager, global powertrain with Cummins, said the 2017 engine has already been well tested, even though it won’t launch until late next year. He said it has already accumulated more than nine million miles in real-world customer applications, which is equal to 4,000 trips from coast to coast. Early indications are that the engine will excel in the four key areas customers care about: uptime, fuel economy, driveability and maintenance. 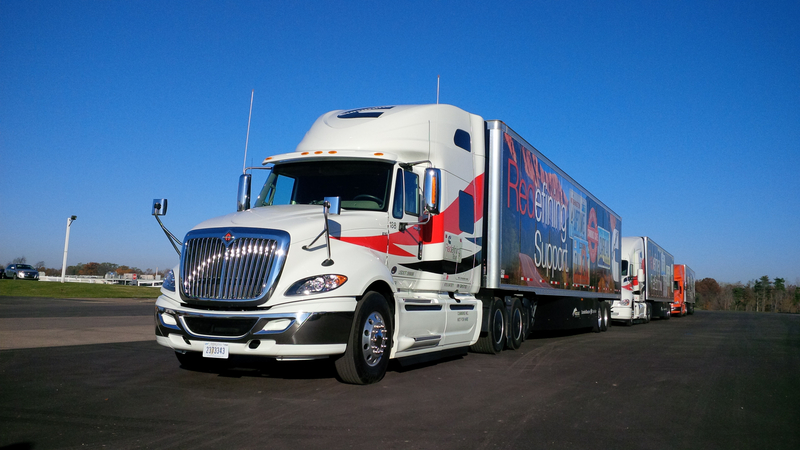 We drove this International ProStar with 2017 ISX15 engine and SmartAdvantage powertrain. Taylor vowed the 2017 ISX15 will deliver the best fuel economy and lowest overall total cost of ownership in the industry, even when compared to 13L engines. Taylor also noted 15-litre engines tend to last longer and maintain a higher residual value than 13-litre engines. The truck I drove on some Interstate highway and secondary roads near Marshall was equipped with the 2017 ISX15 and SmartAdvantage powertrain. The SmartAdvantage combines the ISX with the Fuller Advantage Series automated manual transmission. The overdrive transmission features a small, 26% step between ninth and tenth gears, allowing for quick shifts and the ability to easily and efficiently pop back and forth between the top two gears so the transmission is always in its most efficient gear. Taylor said this is an ideal line-haul spec’, where engine cruise speeds would average 62 mph or higher. During my drive the transmission did change frequently between ninth and tenth gears. We were loaded to about 65,000 lbs and cruised at about 1,150-1,200 rpm. All SmartAdvantage powertrains are limited to gross combination weights of 80,000 lbs, making it an ideal spec’ for north-south runs into the US but posing some limitations for higher-payload domestic routes within Canada. The SmartAdvantage powertrain with small step technology can now be ordered with 400- and 420-hp ratings, in addition to the 450-hp initial offering. The 2017 ISX15 carries over all the latest features Cummins offers on its current product. These include: vehicle acceleration management, which limits power on acceleration to save fuel; SmartTorque2, which senses vehicle weight, grade and operating gear to slect the appropriate torque output; and SmartCoast, which disengages the driveline when coasting downhill to save fuel. Cummins officials were reluctant to divulge specific changes that have been built into the 2017 product, but those details will be available closer to the official launch date. The engines available to drive this week were prototypes, but fairly advanced in the development cycle. During their joint press event here this week, Cummins and Eaton also announced availability of a new SmartAdvantage powertrain featuring a 10-speed direct drive transmission. The new offering, intended for regional haul and LTL applications with average road speeds of less than 62 mph, gives the SmartAdvantage broader coverage of the industry. While the small-step overdrive SmartAdvantage readily jumps between the two top gears to ensure maximum efficiency, the 10-speed direct drive is inclined to grab and hold tenth gear to maximize the time spent in more efficient direct drive. Cummins and Eaton have broadened the SmartAdvantage’s coverage of the market with new options. The direct drive SmartAdvantage features faster rear axle ratios (2.26, 2.28 and 2.39 ratios are available, while the small step overdrive version offers rear axle ratios of 2.64 and 2.78). Generally speaking, direct drive transmissions, with their ability to transmit power directly through the main shaft without parasitic losses, are more efficient than overdrive transmissions. 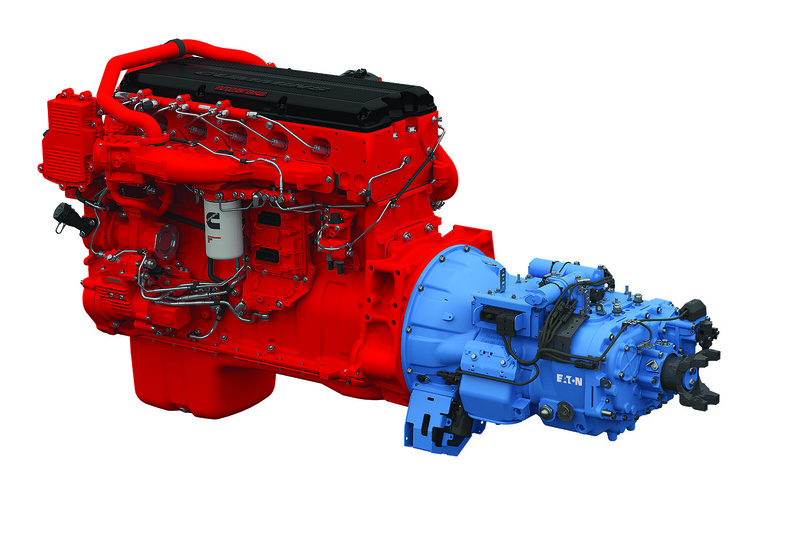 But throw in some hills and higher average road speeds and an overdrive transmission could provide better performance, which is why Cummins and Eaton are now pleased to be able to offer both solutions. The two companies first announced their SmartAdvantage integrated powertrain in 2014, touting a 3-6% fuel economy advantage compared to their existing products at that time, which weren’t yet fully integrated. The addition this year of SmartCoast has added another 2% in fuel savings, the companies say. Having expanded the SmartAdvantage options available, Cummins and Eaton have also revamped their joint Web site. Customers can now access more tools and information at www.SmartAdvantagePowertrain.com to determine which configuration is best for their application. 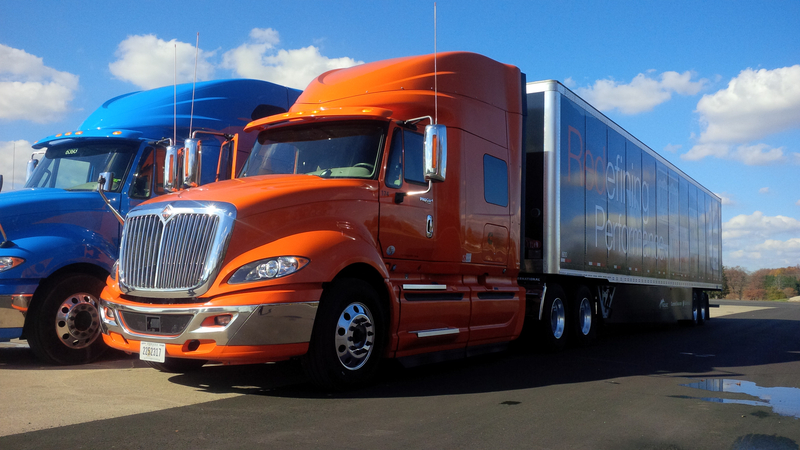 This ProStar featured the new SmartAdvantage direct drive powertrain.